Baylor, Notre Dame, Louisville and Mississippi State earned No. 1 seeds. 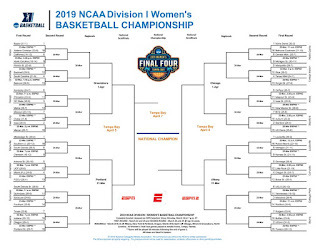 ESPN scooped themselves by revealing the bracket almost four hours before the Selection Show. ESPN apologized for messing up 64 team selection parties. Belmont players found out in various ways. It’s anyone’s game this year. Winners and losers, according to ESPN. Texas A&M’s Chennedy Carter has been cleared to play in the Tournament. 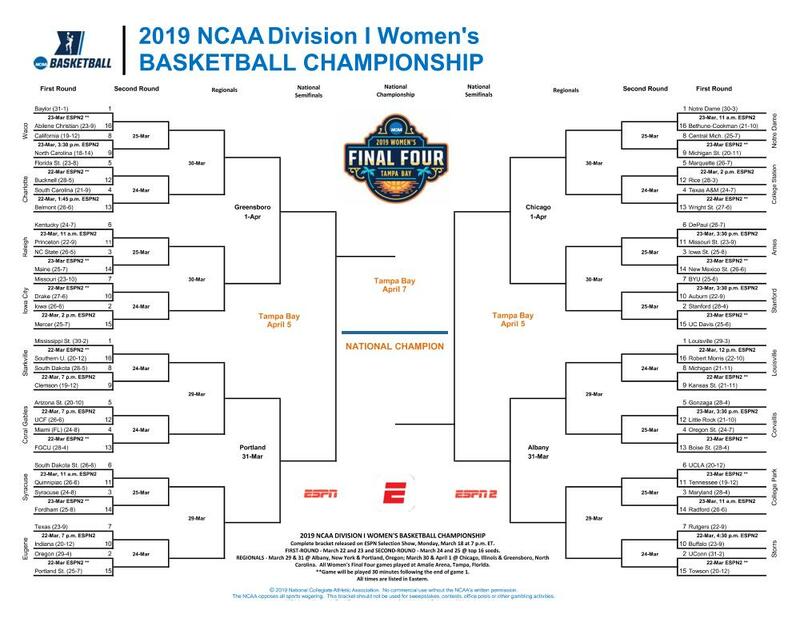 Gonzaga stars Laura Stockton and Jill Townsend are out for the NCAA Tournament. Kansas State’s turnaround left no doubt for the Selection Committee. North Carolina gets a bid for the first time in four years. It was the first at-large bid for UCF in school history. On an expected suspenseful day, Louisville got the good news early. South Carolina will remain close by. UCLA reflects on a successful season after last year’s Pac-12 Tournament loss. Oregon State was relieved by their seed but frustrated by their party cancellation. What Holly Warlick thinks of Tennessee’s Tournament bid, and the bracket leak. The NCAA’s main points of interest. The NCAA Tournament awaits, but what does the future hold for Vivian Stringer and assistant coach Tim Eatman? Previous article‘Twas the night before the Selection Show…..